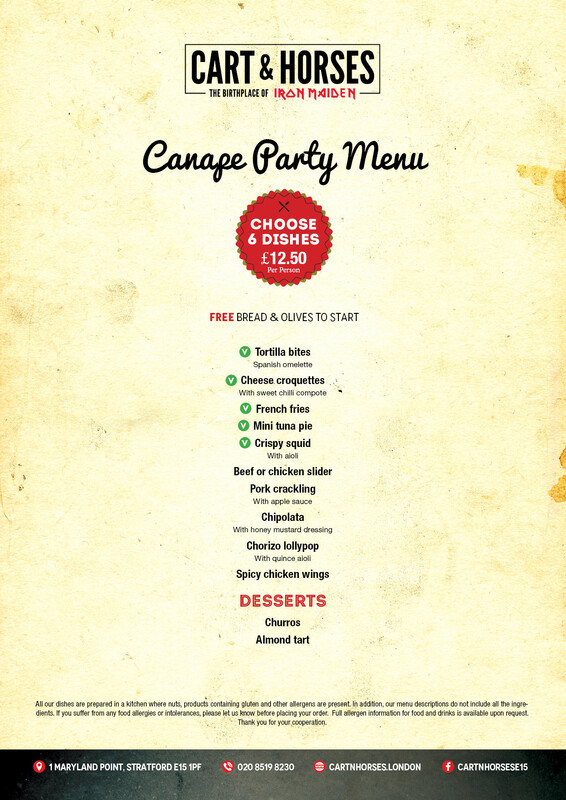 We offer a full menu of main meals as well as bar food and Tapas style here at the Cart and Horses. Whether you want a local restaurant in Stratford or something quicker and want to eat Bar food in Maryland East London, the Cart and Horses have got you covered. Even though we say it ourselves, our Sunday roast is exceptional especially when washed down with one of the fine wines we stock in our cellar. 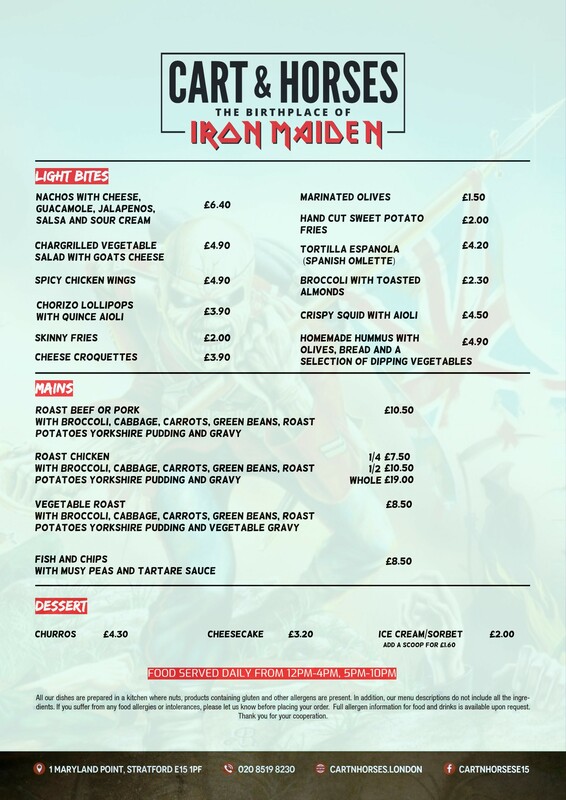 Lunch time at the Cart and Horses,Low prices meals and a great lunch menu will put a smile on your face for whatever the afternoon brings. Our hot local food can be enjoyed in our restaurant area, at the bar or can be served outside in our covered and heated garden area, which is ideal at any time of the year. 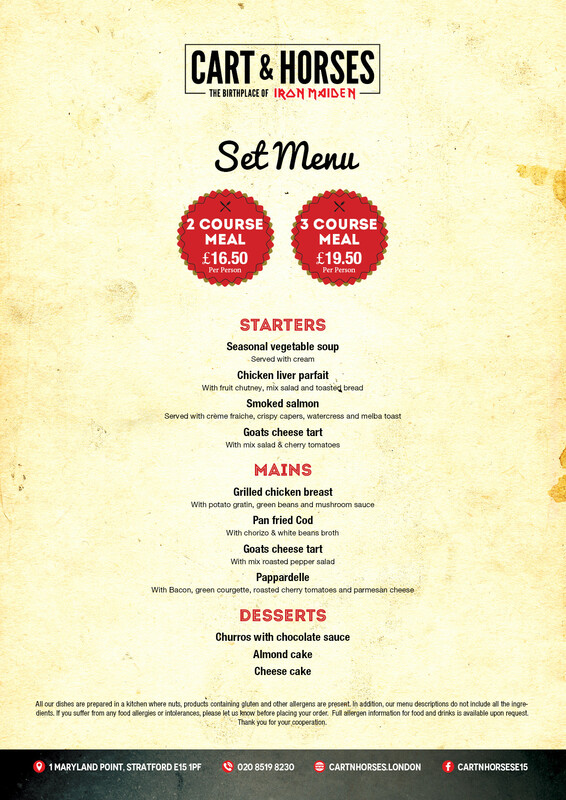 If you are just popping in for a 'quick one' after work then take a look at our Set menu. 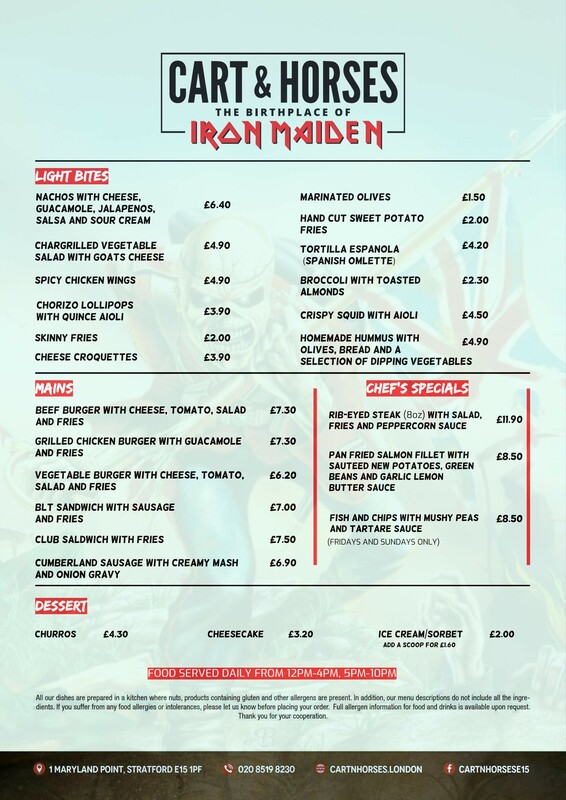 If you want, there's something different each day to choose from and a delicously hot and fresh meal, in Stratford, will be served for a great price.